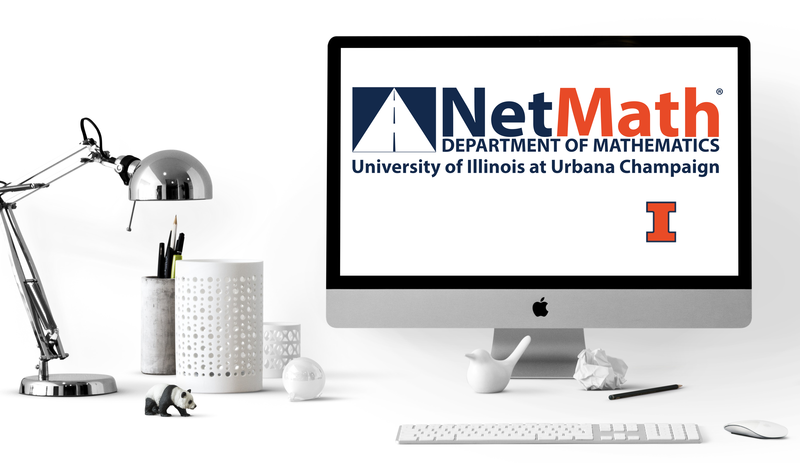 New NetMath courses coming soon! The courses listed below are currently in the development process. Please view each course for a description of the topics they will cover. Course Description: Math 446 is for students who desire a working knowledge of complex variables; covers the standard topics and gives an introduction to integration by residues, the argument principle, conformal maps, and potential fields. Students desiring a systematic development of the foundations of the subject should take MATH 448. This course uses the Moodle online system. Students must be able to print out assignments, write out solutions, then scan their written work and upload it to Moodle. Course Description: Math 447 covers careful development of elementary real analysis for those who intend to take graduate courses in Mathematics. Topics include completeness property of the real number system; basic topological properties of n-dimensional space; convergence of numerical sequences and series of functions; properties of continuous functions; and basic theorems concerning differentiation and Riemann integration. This course uses the Moodle online system. Students must be able to print out assignments, write out solutions, then scan their written work and upload it to Moodle. Course Description: Math 489 Studies mathematical theory of dynamical systems, emphasizing both discrete-time dynamics and nonlinear systems of differential equations. Topics include: chaos, fractals, attractors, bifurcations, with application to areas such as population biology, fluid dynamics and classical physics. Basic knowledge of matrix theory will be assumed. This course uses the Moodle online system. Students must be able to print out assignments, write out solutions, then scan their written work and upload it to Moodle.